They say that the greatest relationships are rooted in friendship, and for one very famous British ginger with loads of talent, that may prove to be true. If you haven't yet seen, Ed Sheeran's BFF Taylor Swift threw him and his girlfriend, Cherry Seaborn, an anniversary party over Fourth of July weekend, complete with a banner decrying, "Happy Ed-Iver-Cherry" in typical, punny T. Swift fashion. While the anniversary is cute and all, previous to this, I didn't know much about Seaborn, which prompted me to dig into her and Sheeran's history a bit deeper. 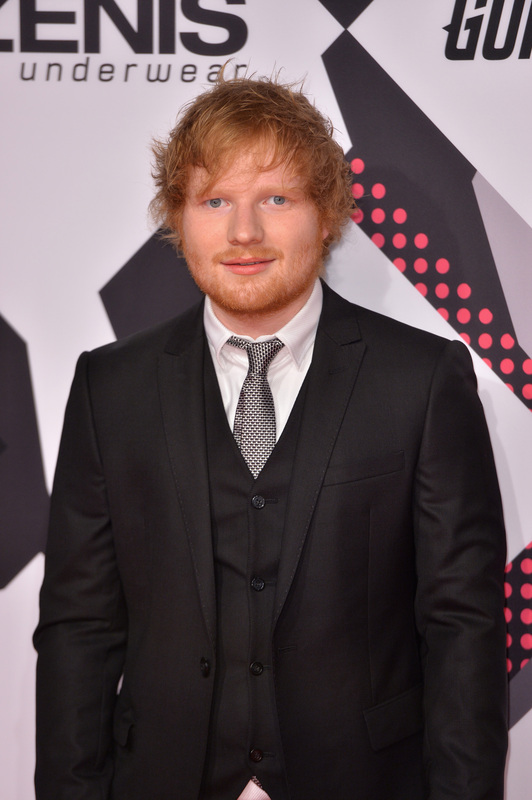 For one, I wanted to know how Ed Sheeran and Cherry Seaborn met? Why did I want to know this? Probably because I am always wondering how celebs and "real people" meet and fall in love with one another. Turns out, they met while Sheeran was a so-called "real person." According to Us Weekly, Sheeran and Seaborn were high school friends, which is, you know, just about the cutest thing I've ever heard. Especially because the singer clearly appreciates where he came from and who was there with him from the start. Major, major props to him for being a genuine dude. But you know what? Even more props to Seaborn for handling dating a star like a pro. It definitely can't be easy being in the public eye, but it does seem like they are a totally normal couple in spite of Sheeran's popularity. And it is quite refreshing to witness, yes, even when they're captured by the inevitable paparazzi lens. It comes with the territory, you know? Actually, we should probably thank them considering the Brit has been on a social media hiatus since December 2015. Here are some pics of the couple that prove their low-key coupledom should be the envy of overexposed stars, everywhere. Shades on, anonymity achieved... Well, kinda. I am a Yankees fan, but this is such a sweet picture, I'll let the Mets support slide. And show the most subtly adorable PDA ever. Fun couples are my favorite kind of couples. But they still slay, regardless. IDK about you, but I am a total Ed and Cherry shipper now.